London is a big city with a big appetite for football. North, South, East or West - no matter where you're situated, Hire Space has the best clubs, pubs, cinema screens and event centres available for you to watch this year's FIFA World Cup. James Roche brings you five top London venues to celebrate the game's greatest showpiece! Considering the massive salaries offered to the world's best players (and many of the mediocre ones as well), it is sometimes easy to forget about football's more humble beginnings. The Bethnal Green Gas Holders provide a refreshing reminder of a simpler time when Football really was a working class game. 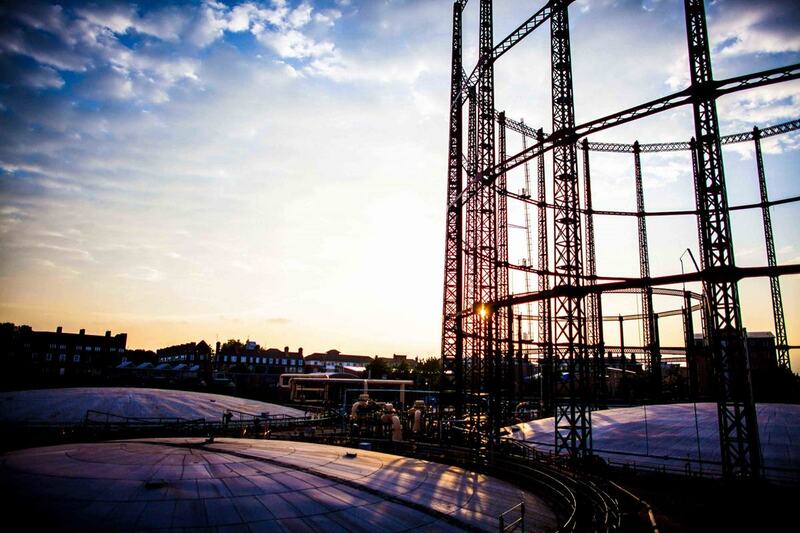 What better place to watch the 2014 World Cup than a venue where this iconic East London landmark is the back-drop? Namely,Oval Space! A popular photo/film shoot venue, Oval Space offers over 4000 sq ft of blank canvas space. With catering, green room facilities and 3 phase power available on request, this warehouse-style space is also an ideal venue for your big World Cup party! A contemporary bar area, state-of-the-art projection technology and chilled ambience make this 34-seat luxury private screen room and event space perfectly built for the big occasion. Well, it doesn't get much bigger than the FIFA World Cup and if you're not "wired" now, you never will be! As satisfying as it may be viewing Cristiano Ronaldo's face on a pixelated screen, you really need to be watching an event of this magnitude through a high-end digital projection screen. The MPS Screening Room at Wired provides the solution AND the atmosphere for a memorable night's entertainment. Canary Wharf may be regarded as a symbol of "modern London" but it's one of its most historic event venues that earns next spot on our list - the Museum of London Docklands. 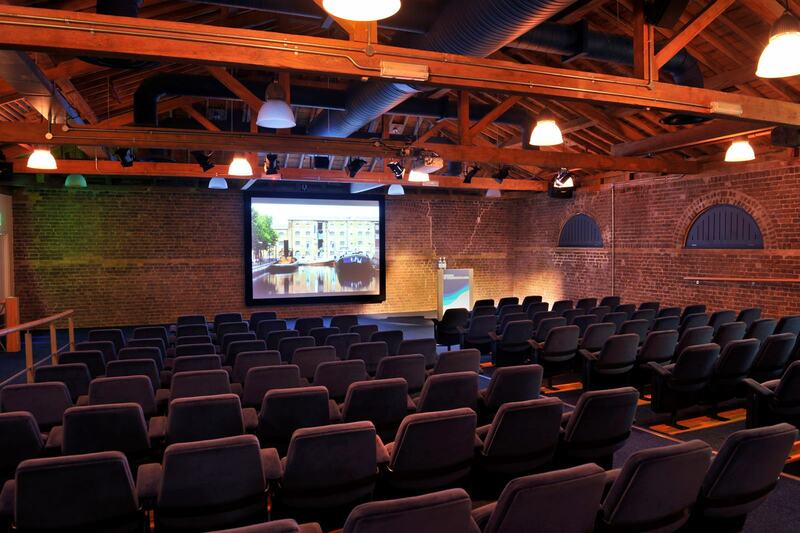 Located over five floors within a splendid late Georgian warehouse, the Museum is Canary Wharf's only Grade-I listed venue and features more magnificent event spaces than Paul Gascoigne's had football clubs. Being World Cup time, you might as well go large and hire out the whole venue. Trust us - it's worth the price and effort. You'll rarely find a night of the week when the West End ISN'T pumping, so you can imagine how it will be at World Cup time. The question is: where do you and your buddies head to catch all the action? 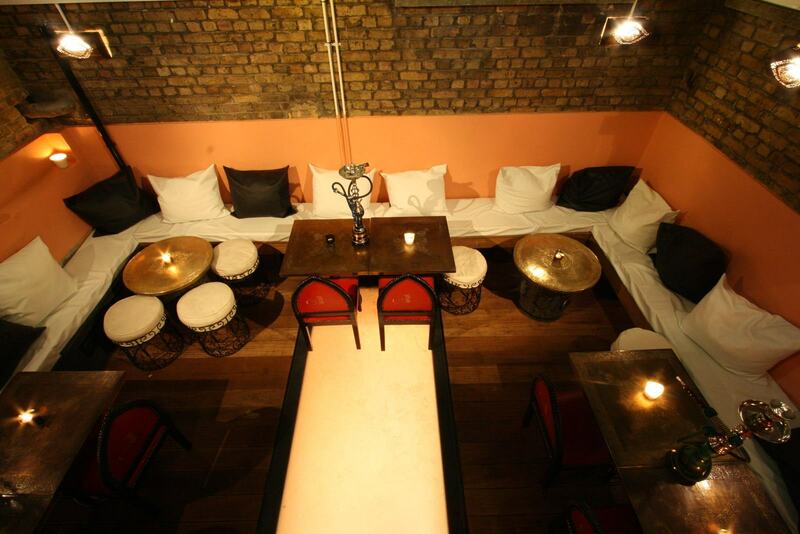 Spread over three floors and featuring its very own Shisha Terrace, El Cantara is a great place to kick-off your night of World Cup wonder! Equally at home hosting corporate events, charity functions and receptions as it is entertaining football fanatics, El Cantara knows what you want and how to deliver it. Load up on delicious, authentic Moorish cuisine in anticipation of a superb night's entertainment. If you haven't already become acquainted, the World Cup may be the ideal time to familiarise yourself with the magic of El Cantara! Are you responsible for organising your company's next big corporate shindig during the World Cup but couldn't possibly imagine missing even a minute of the action? Why not pencil in The Gallery at 81 Leonard Street for your next event? Birthday parties, product launches, networking events - you name it, The Gallery can cater to any need (including a screen for the footie). Check out the graphic above and now picture that same screen showing Wayne Rooney's big mug. It's a penalty shoot-out in the final and 'Shrek' must kick this to win the trophy. He moves in and ... come on guys, you know that's not going to happen! England will bomb out early and Australia will stun the world at this year's World Cup! I can't wait! We can't say we agree with James' Football predictions (too much time in the Aussie sun, we think), but we definitely agree with his review of these five fantastic venues. We'd love to hear who you think will star at this year's World Cup so please leave your comments in the section below. 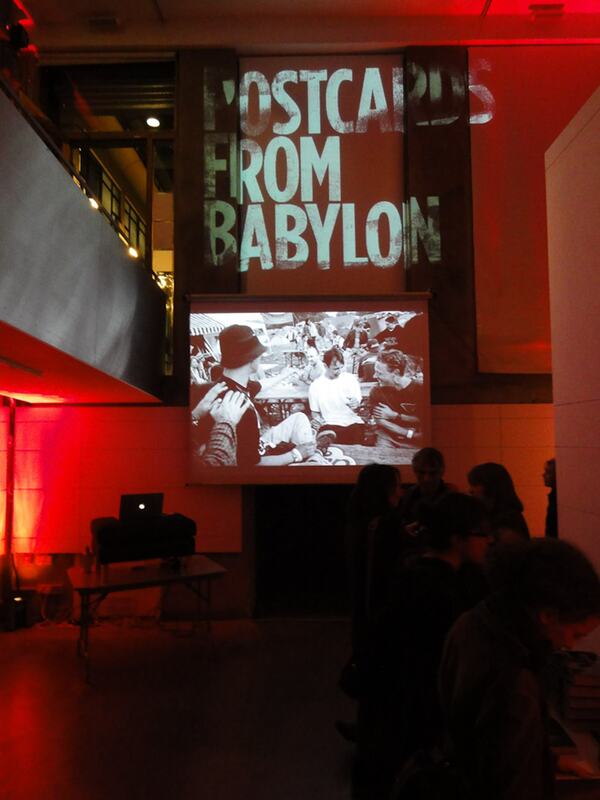 As always, check out our website for further information on all of our event spaces.